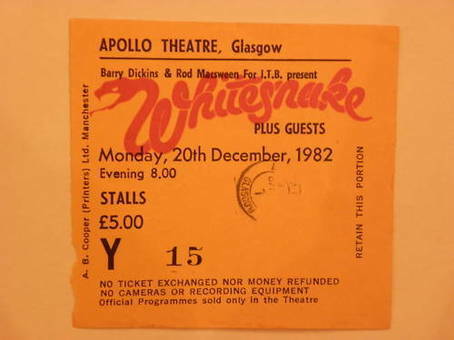 Gigs Gone By – LIve Review: Whitesnake – Burning Fist! Image • November 10, 2013 • Burning Fist! This gig came out of the blue. I was finally getting over the rush and buzz of the Gillan gig when I was presented with the opportunity to go and see Ol’ Cov and the boys…for nowt!! A friend had won a pair of tickets courtesy of the Rockpile show, who remembers that classic? Again, it’s quite ironic that we got tickets through a competition via a rock show and now I do the very same thing, ok not as big a scale but hey, at least there’s rock on the radio in these parts again right? Anyway, he won the tickets a couple of days before the actual gig so we had some arranging to do. How were we going to get there? Would anybody take us? It immediately looked like we wouldn’t be able to go then…then we heard of a trip going to the gig from the village. I honestly can’t remember how we got on the trip, which was leaving from the King’s Head but we were in and weren’t backing out. We met up with the rest of the gang on the eve of the gig, outside said mentioned pub. The good boys that we were, we didn’t venture in to the public house but merely stood outside (in the rain) having a ciggie like all good boys should. Then out they all came from the boozer and piled into the van but there was one slight problem? The transit mini bus was a twelve seater but there were fourteen of us. No problem, someone ran in the pub and borrowed a couple of bar stools and placed them in the aisle in-between both rows of seats. Things you could get away with in the old days eh, imagine that nowadays? All I remember going up in the van was a vast amount of booze being consumed (the obligatory bottle of Jack Daniels), and I think some kind soul even gave us both a can each! On arrival at the gig I once again succumbed to the shirtleggers and bought myself another unofficial item of clothing. it was a nice looking shirt, Saints & Sinners cover on front and Ol’ Cov on the back along with all the tour dates and once again, it was only three quid. We were separated from the rest of the gang as we had seated tickets upstairs along the side of the arena a la Birmingham NEC. The place was heaving and we had a superb view of the stage and the packed out floor area where they had covered the ice rink with some sort of artificial flooring. I always thought it would have been more fun to leave it with the ice under their feet…ha. 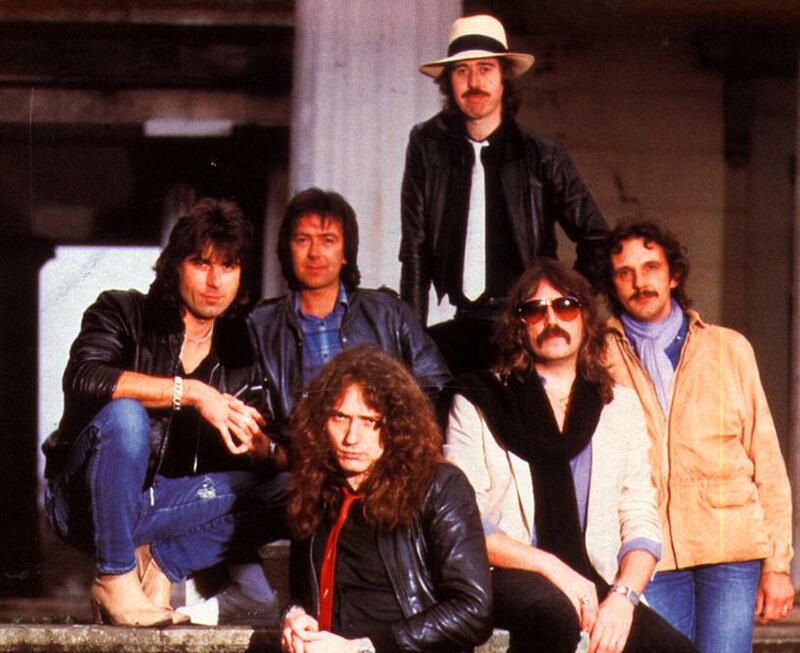 By now the anticipation had reached boiling point and then the lights dimmed once more and out strutted Whitesnake, Coverdale greeting us with his trademark “Ow Ow Ow Ow” and “Here’s a song for ya” and they tore into Walking In The Shadow Of The Blues immediately followed by the one two of Rough ‘n’ Ready and Ready An’ Willing…marvellous stuff. We then got two other newies, Here I Go Again (complete with hobo and not drifter) and Crying In The Rain and sandwiched inbetween was an extended Lovehunter. Then it was Jon Lord’s Hammond solo, and his organ rocked (‘scuse the pun) so far backwards and forwards we thought it was going to fall off its stand. This was followed by Cozy Powell’s drum solo and then they went straight into their cover of Bobby “Blue” Bland’s glorious Ain’t No Love In The Heart Of The City complete with crowd participation and Cov’s “sing it beautiful”. And that was it, it was all over, well so we thought until they came back out to the chants of “Whitesnake cha cha cha” “Whitesnake cha cha cha”. First encore was their top 20 hit Fool For Your Loving and the show closer was Wine, Women and Song and then…it was all over. Bit of a downer to end a review, some bugger sat on my programme all the way home which let me with a rare bum creased covered one. Oh well, such is life but good times nonetheless. 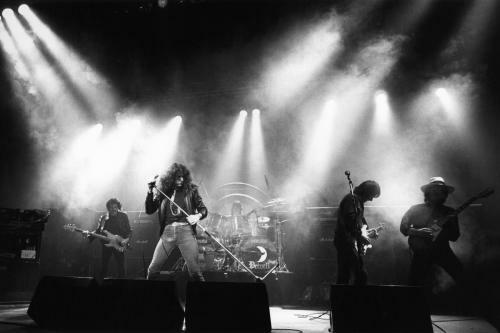 Posted in Gigs Gone ByTagged 1982, Deeside, Gigs, Gigs Gone By, rock, Samson, traditional, WhitesnakeBookmark the permalink.